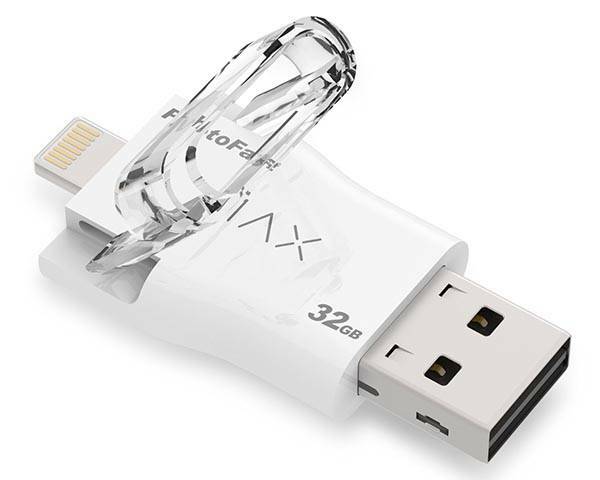 With integrated Lightning connector, PhotoFast’s i-FlashDrive has been ready to serve as an external storage device for your iOS devices, and USB 3.0 connector provides a high-speed transmission on your computer. The i-FlashDrive MAX is a handy and practical USB flash drive designed for iPhone, iPad and iPod touch with Lightning connector. The iOS USB drive measures 2 x 0.9 x 0.3 inches and weights 0.3 ounces so the lightweight and ultra compact design allows you to take MAX with your iPhone or iPad anywhere. 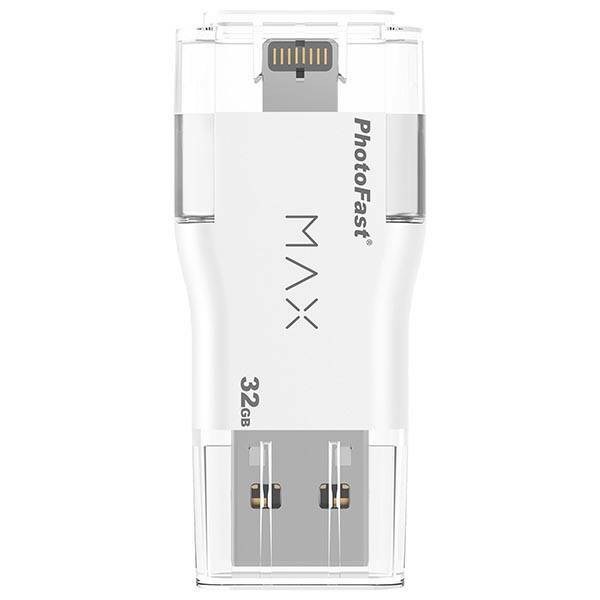 The USB flash drive features an integrated Lightning connector so you can effortlessly plug it into your Lightning equipped iOS device, and the MAX comes with a built-in 16GB/32GB/64GB flash memory that can contain your movies, photos, and documents. Furthermore, using its custom app, the MAX can also backup your contacts, calendars, and even your social media accounts like Facebook, Instangram, and Flickr. Moreover, you can also use it to manage your Dropbox, Google Drive and Cloud Drive accounts. In addition, built-in media player allows to play multimedia content on the USB drive, and via AirPlay, the MAX can stream videos to your big screen. The i-FlashDrive MAX USB 3.0 flash drive comes in two storage capacities including 64GB and 128GB, each costs $69.99 and $99.99 USD respectively. If you’re interested, jump to Amazon for its more details. Additionally, also don’t miss the 3-in-1 i-FlashDrive HD card reader and more cool gadgets by following tags.